Every Z-Wave smart home depends on data for truly intelligent automation; automation that makes a smart home actually smart, responsive, and secure. TriSensor provides your smart home with its most essential data. 3 different sensors are crafted into TriSensor’s impossibly small finish. 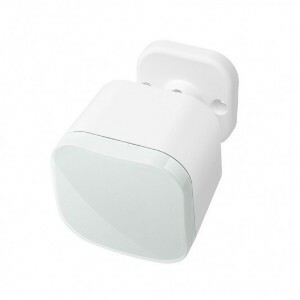 A motion sensor to monitor a room’s occupancy, a temperature sensor to manage its environment, and a light intensity sensor to manage connected lighting. At only 1.77 inches in size and weighing only 50 grams, TriSensor is really small. That means it can be placed almost anywhere in your home. TriSensor offers 4 different installation possibilities.